well walls, his efforts collapsed. use for drinking, cooking, bathing and cleaning. Though they raise a few pigs around the homestead, insufficient water limits livestock production and precludes other livelihood activities such as gardening. 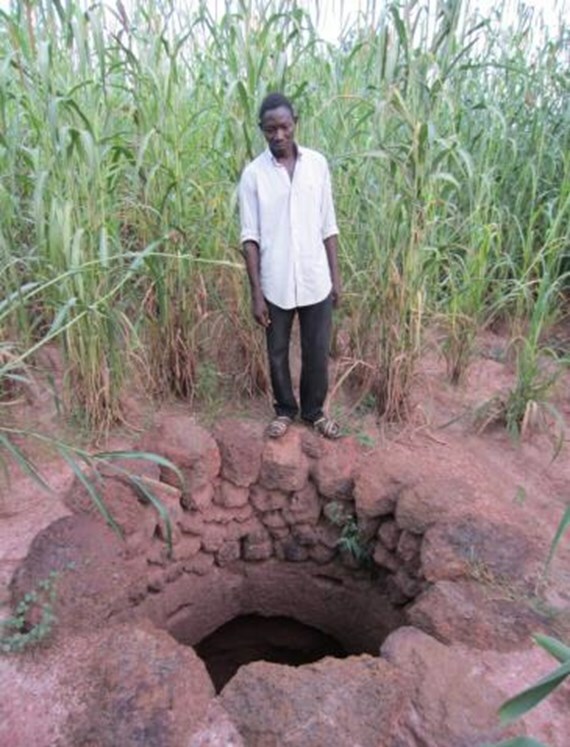 Mr Norbert Sibiri Zongo, the head of household, tried to solve this problem by digging a traditional well close to his house two years ago but it collapsed, failing to alleviate the family’s water needs. In the village of Tiogo Mossi where the Zongo family lives (Boulkiemde province, Center-West region), 15 conventional deep boreholes are meant to provide water for a population of 3,650 inhabitants. The ratio of boreholes to inhabitants seems sufficient. However this simple calculation does not take into account the distance people must walk and time they must wait to collect water. And it fails to meet the Zongo family’s multiple water needs for both domestic and productive uses. Since early 2013, Winrock International has been promoting upgraded well solutions in the village of Tiogo Mossi, where the Zongo family lives. Winrock, an implementing partner in the USAIDfunded West Africa Water Supply, Sanitation and Health (WA-WASH) Program, is delivering Multiple-Use Water Services (MUS) to improve the quantity, quality, reliability and distance of water services for rural households in Burkina Faso. Winrock is demonstrating how a traditional hand-dug well, conveniently located near the homestead, can be upgraded to better meet the family’s multiple water needs. The upgrade includes low-cost drilling to deepen the well, disinfection and covering to protect the water quality, and an improved lifting device to reduce the labor of fetching water. 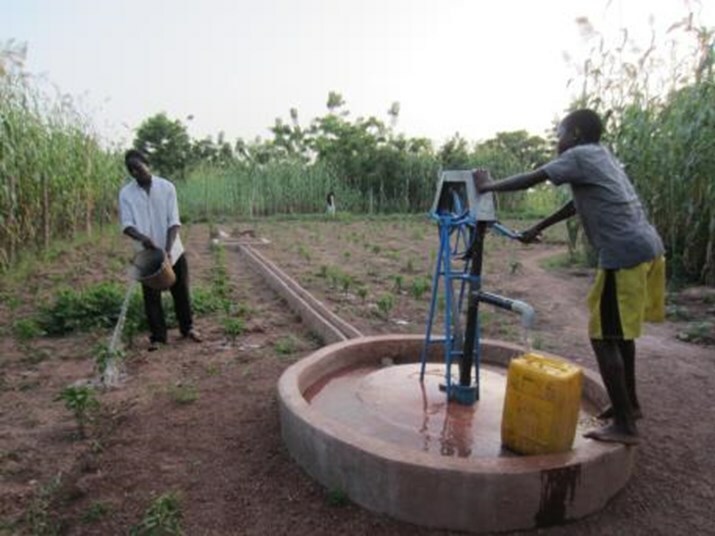 When Mr. Zongo saw the demonstration, he decided to invest in upgrading his well for his family and neighborhood. Gathering funds from his mill grinding income and the sale of three pigs and one goat, he invested $260 for the concrete cover and rope pump. To complement Mr. Zongo’s investment and complete the upgrade, the WA-WASH project contributed $520 to deepen the well through borehole drilling. After: Mr. Zongo invested one third of the cost to upgrade his traditional well. The family now has water services to meet their domestic and productive needs. opportunities. Water services for domestic uses enhance the health of the Zongo family by providing clean drinking water and water for improved hygiene and sanitation. Mr. Zongo says that it is now possible to bathe twice a day, whereas before it was sometimes difficult to bathe even once a day. His wife, Antoinette Kienon, confirms, “Before, it was difficult to collect water. Now it is easier and we have more time to take care of the children”.